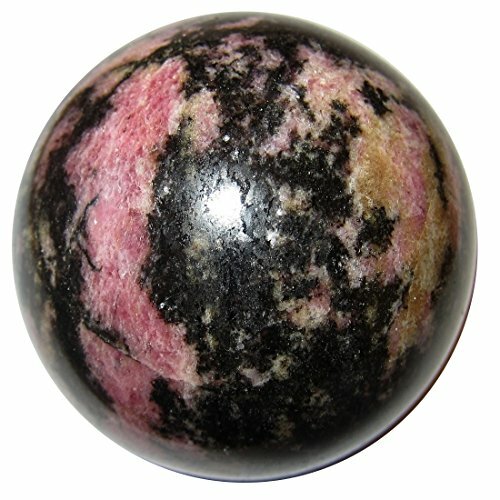 Your ball is made from Rhodonite of Madagascar. This is dense and beautiful stone, with natural black and pink patterns. Pretty and unique, your sphere is polished and has natural lines and pores native to genuine crystal. One of a kind. Receive this exact stone pictured when you order from Satin Crystals. Rhodonite brings self-less love, opening the heart for self acceptance and love of humanity. It helps to ground the heart energy to this reality. The bold pink tones open the heart chakra to love vibrations.